Photo Gallery #60: Click edit pencil to get the selected gallery name. 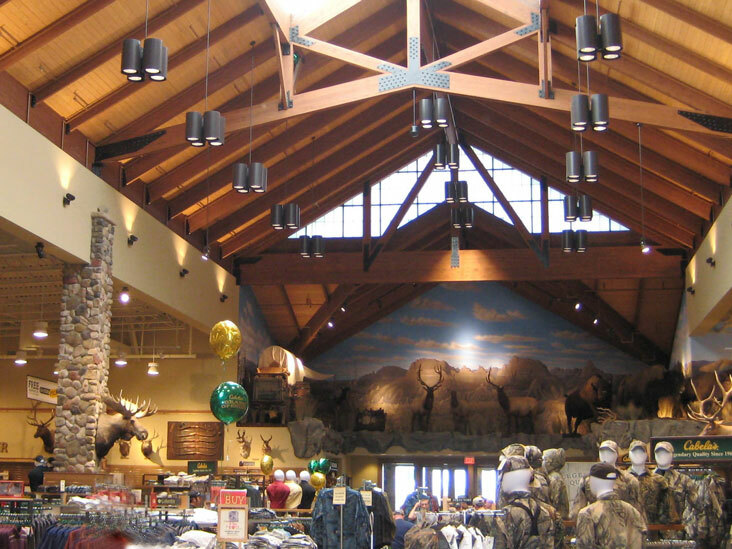 Project: Cabela’s, Rapid City, S.D. Fixtures: Custom four-cylinder pendants integrate performance metal halide reflector systems and halogen restrike equipment. Maintenance is simplified by grouping all electrical parts on a single easy to remove component.